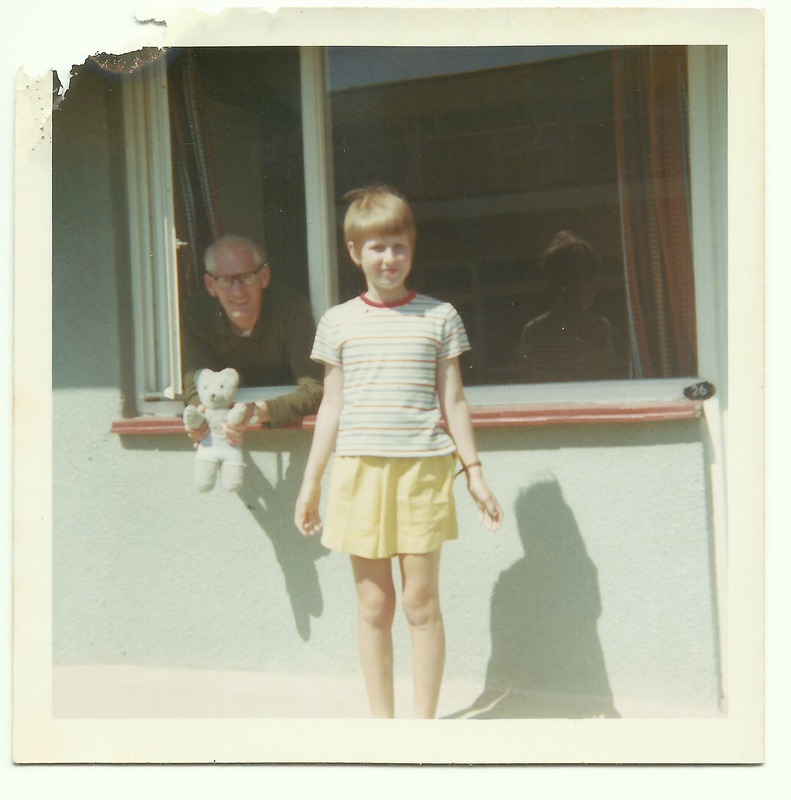 In 1961, when I was three years old, a very special teddy bear came into my life. I named him ‘Gregory’, after my favourite character in the comic ‘Playhour’, Gregory Grasshopper. I used to spend my pocket money on this comic, my Dad used to read me the stories. He has remained with me throughout my life, and has been a very good friend. Here are a few photos of him, more will follow. I was an only child and Gregory was my best friend, always there with a cuddle and always understanding me. I had many happy childhood holidays and Gregory would always come along. 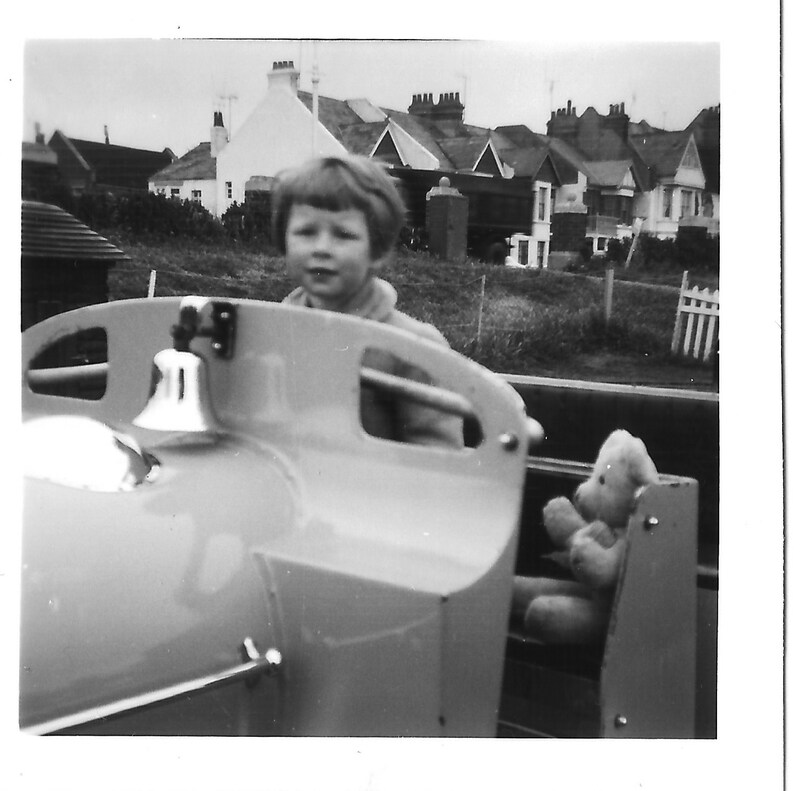 Here he is helping me drive a train along Hove seafront, I believe this was at Hove Lagoon park. Gallery | This entry was posted in Beginning life in Hove and tagged Hove, Hove Lagoon park, Pontins, toys and games. Bookmark the permalink. This is a lovely post! I love the pix and the cute bear. We were just noticing a trail of photos of my husband with his Emmett Kelly clown doll the other day ;).